With encouragement from 150 world leaders ringing in their ears, government negotiators in Paris sought on Tuesday to turn that rhetoric of unity into the text of a global deal to slow climate change. But as the leaders departed Paris, it became apparent that disagreements that have blocked a deal over four years of lead-up negotiations remain unresolved. At Tuesday's technical talks, countries restated their well-known negotiating positions on the question with few hints of compromise. China's delegate Su Wei "noted with concern" what he called a lack of commitment by the rich to make deep cuts in greenhouse gas emissions and help developing nations with new finances to tackle global warming. And the group of the 48 least developed countries urged far tougher action to limit rising temperatures. "It's back to the nitty gritty," said Alden Meyer, of the Union of Concerned Scientists, adding the opening day was "all good, but that does not resolve the crunch issues." Certainly there was still some hangover of goodwill from Monday, when a parade of leaders stepped to the podium to assert the imperative of getting a deal. Many delegates said the large turnout of leaders, almost all expressing sympathy for the French people after attacks by ISIS militants killed 130 in Paris this month, set a less hostile tone than the one that prevailed in the last talks in Copenhagen in 2009. French President François Hollande said he was encouraged by the start of a conference that is planned to run until Dec. 11. "It's set off well but it has to arrive too," he told reporters. The mood had also been brightened by major spending announcements, including a plan by India and France to mobilize $1 trillion for solar power for some of the world's poorest people and a private sector initiative led by Microsoft co-founder Bill Gates to mobilize billions of dollars for new energy research and development. A deal in Paris would be by far the strongest ever agreed to bind both rich and poor nations to limit greenhouse gas emissions, which scientists say have blanketed the Earth, raised global temperatures and begun upending the planet's climate system. 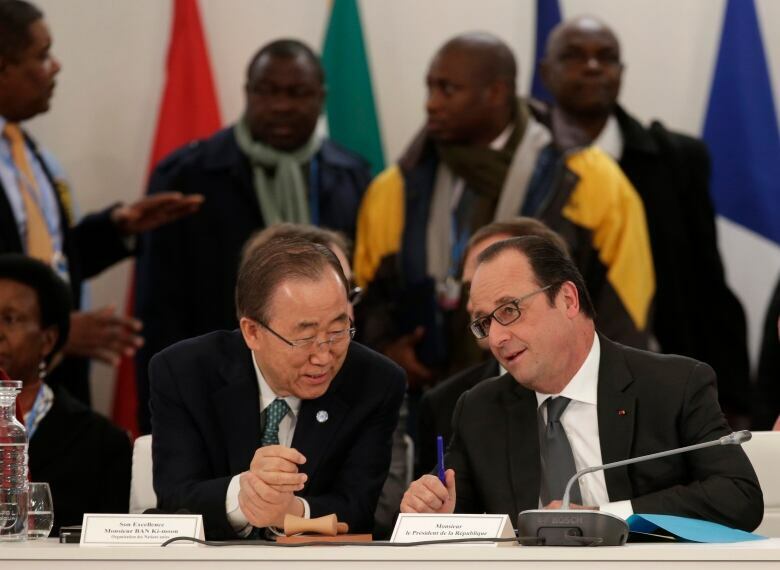 But Tuesday showed that the Paris talks are still taking place under the shadow of politics-as-usual back home. In the United States, Republicans have signalled they will oppose authorizing the billions of dollars that President Barack Obama has pledged to help developing nations adapt to climate change. "Everybody else is taking climate change really seriously," he said of world leaders in Paris, adding: "People should be confident that we'll meet our commitments on this." Obama also said on Tuesday the best way to drive innovation and reduce carbon emissions is "to put a price on it" but he does not expect that from the current Republican-dominated U.S. Congress. As people come to realize the costs of climate change, Obama said they will start to put a price tag on the damage it is doing. Insurance companies are beginning to realize that in terms of how they price risk, he said. "It may be that the politics around setting up a cap-and-trade system, for example, shifts as well," he said. 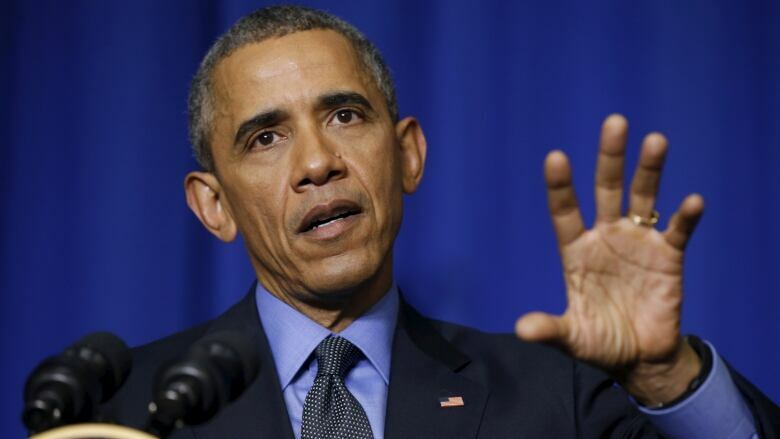 "Obviously I'm not under any illusion that this Congress will impose something like that." 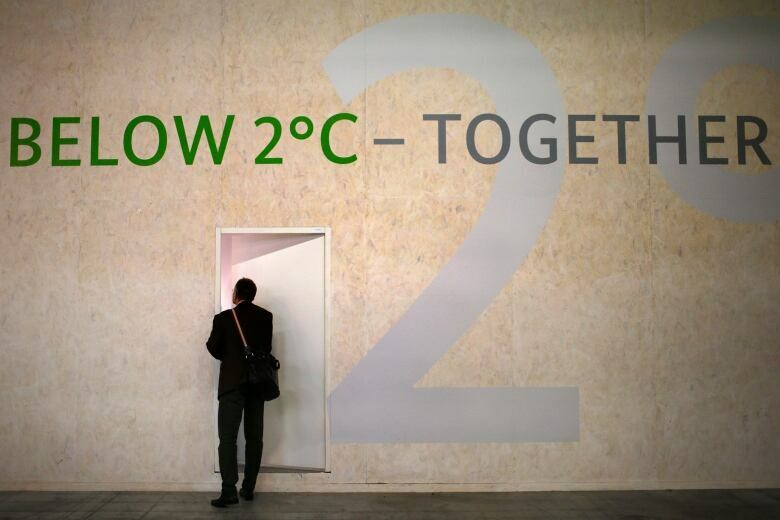 So far, pledges made by 184 countries to curb greenhouse gas emissions beyond 2020, made in the run-up to the Paris summit, are too weak to limit rising global temperatures to 2 C above pre-industrial times. That is widely viewed as a threshold for dangerous and potentially catastrophic changes in the planet's climate system. "Leaders still have the scars of Copenhagen on their hearts and brains," said Yvo de Boer, who was the UN's climate chief in Copenhagen. De Boer, who works for the Global Green Growth Institute, said Monday's big turnout was encouraging for a deal — but acknowledged the challenge ahead. "The elephant in the room is still finance," he said.